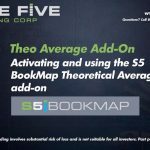 The S5 Trade Analyzer can help with in-trade management as well as post-trade review. Below is a quick three-minute video demonstrating some of the functionality of the Real-time Trade Analyzer as well as the Historical Trade Analyzer. Each trader can utilize this information differently in order to benefit his/her own style. Are you ready to trade with S5? Tools like the Real-time and Historical Trade Analyzers are offered FREE with your Stage 5 Trading funded account. The S5 Trade Analyzer is constantly running in the background. This way you don’t have to remember to open the software to record your trades! Simply login to the S5 members’ portal and you’ll have immediate access to your current trade statistics as well as any prior trades across all products. The HTA can be used to review a set of trades over any given period of time. Label trade types and errors according to your own style and plan. Use the analytics to set goals by which to measure your performance. Customize printouts to display only the data you wish to see. Become a Stage 5 member today and add the Trade Analyzer to your trading toolbelt!